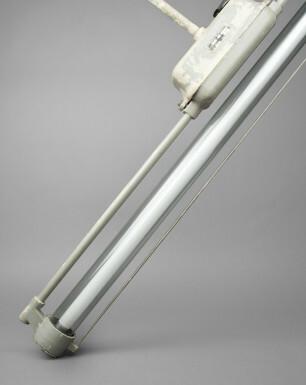 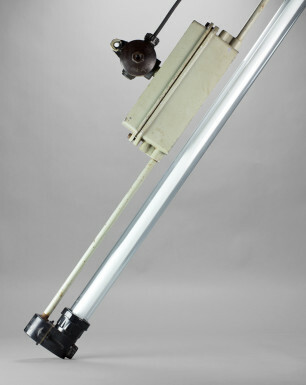 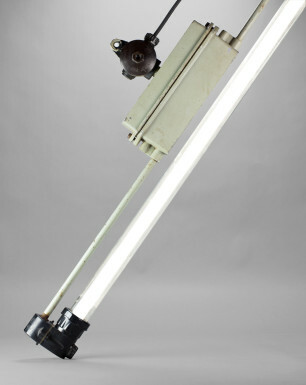 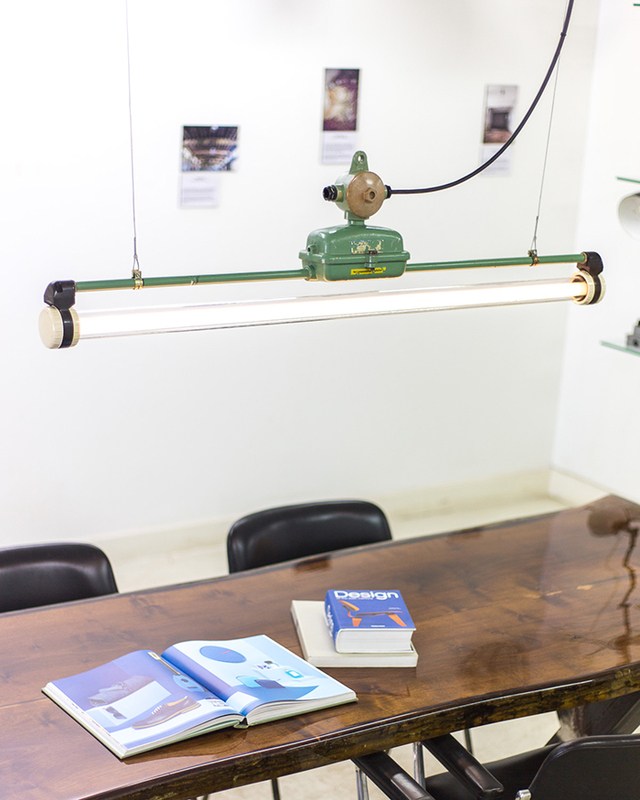 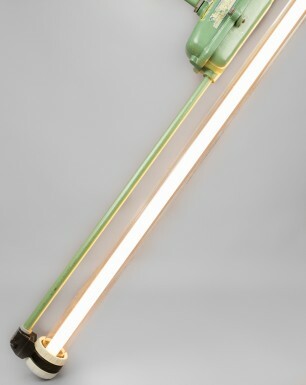 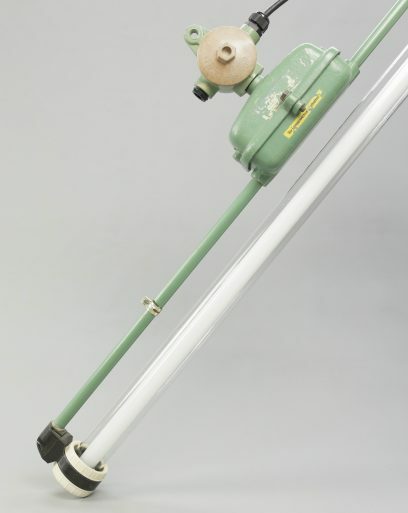 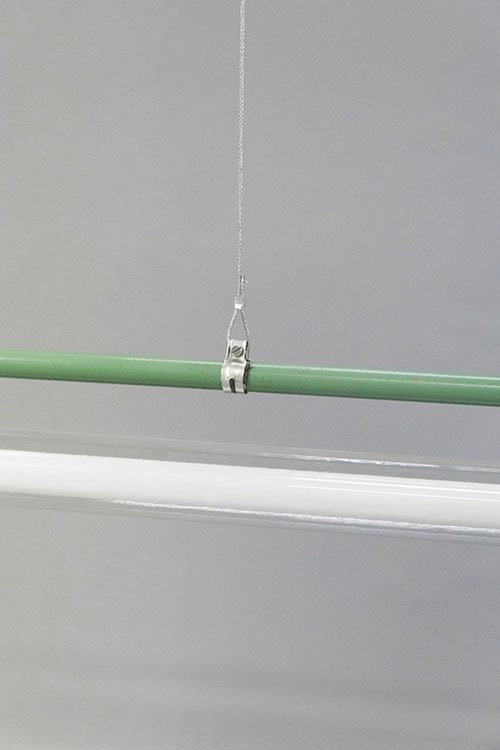 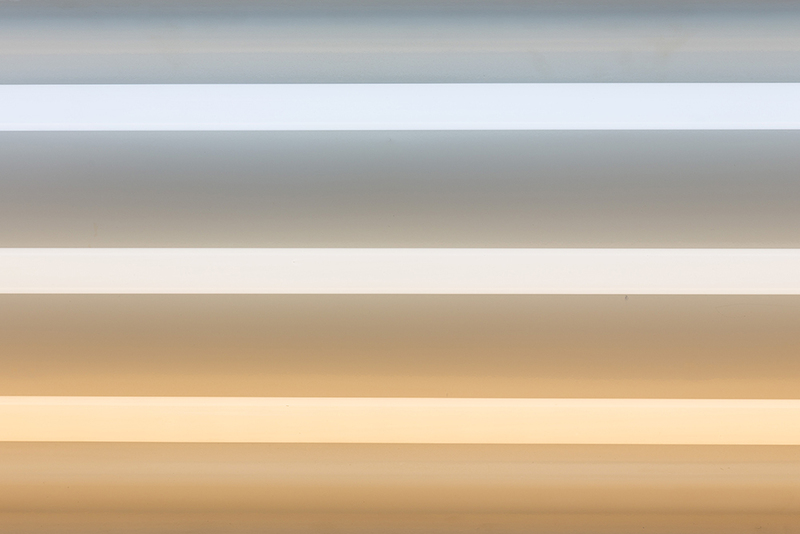 This slender fluorescent light most likely originates from the early DDR era. 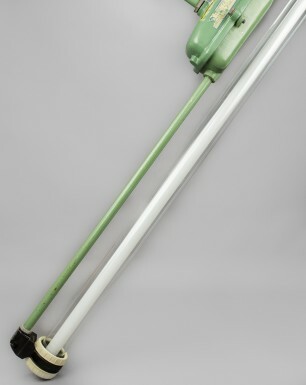 It is the smaller version of the Antilope. 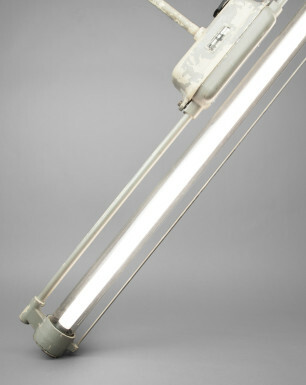 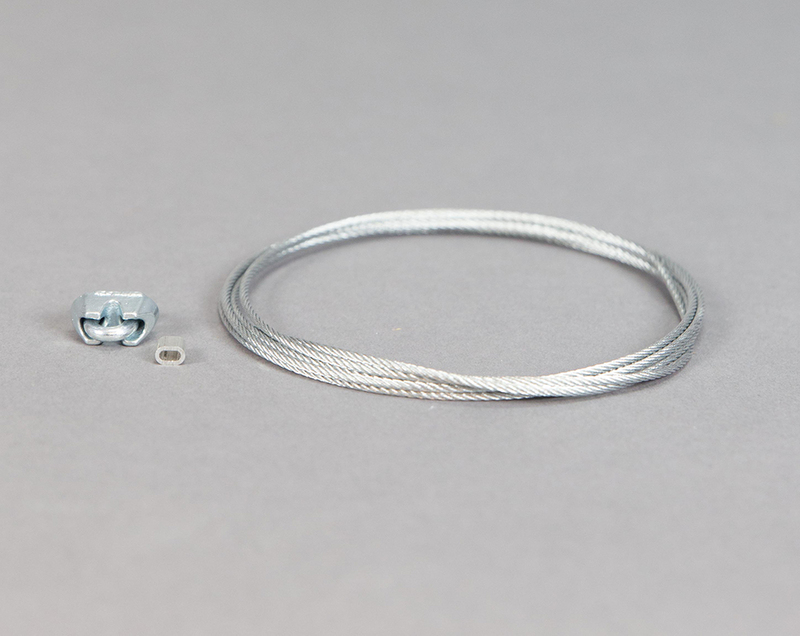 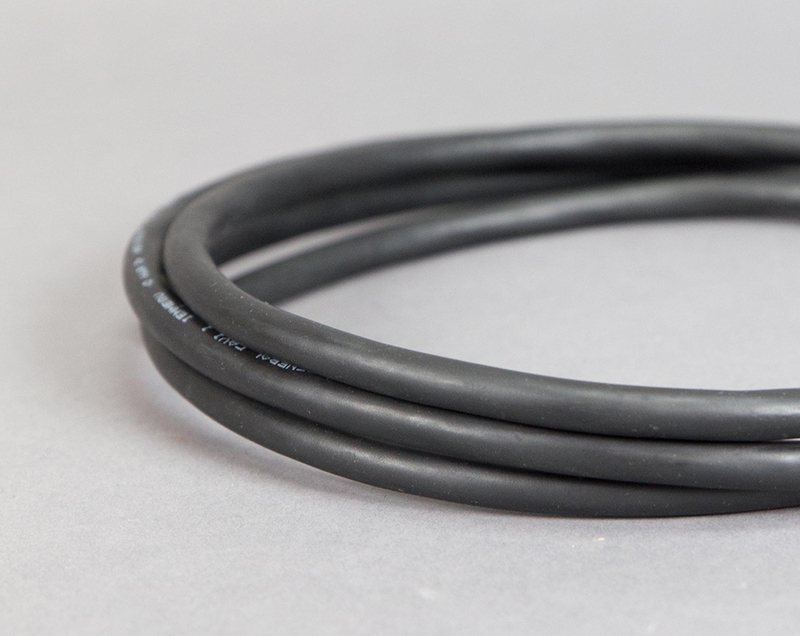 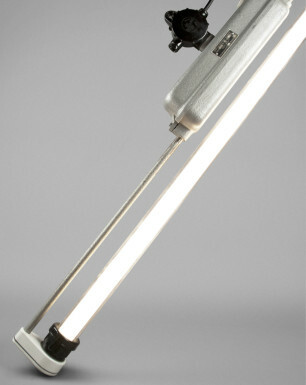 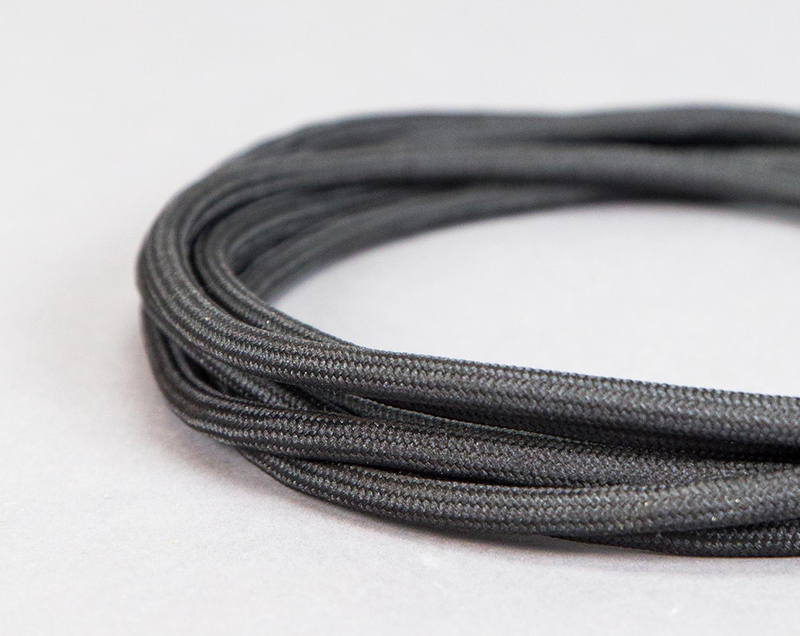 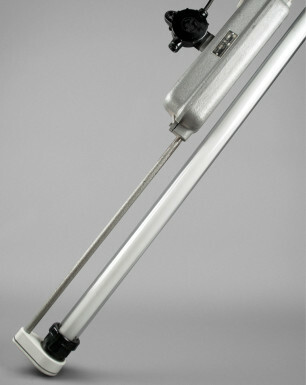 It consists of a single tube that is held together by two bakelite ends and a cast-aluminium casing. 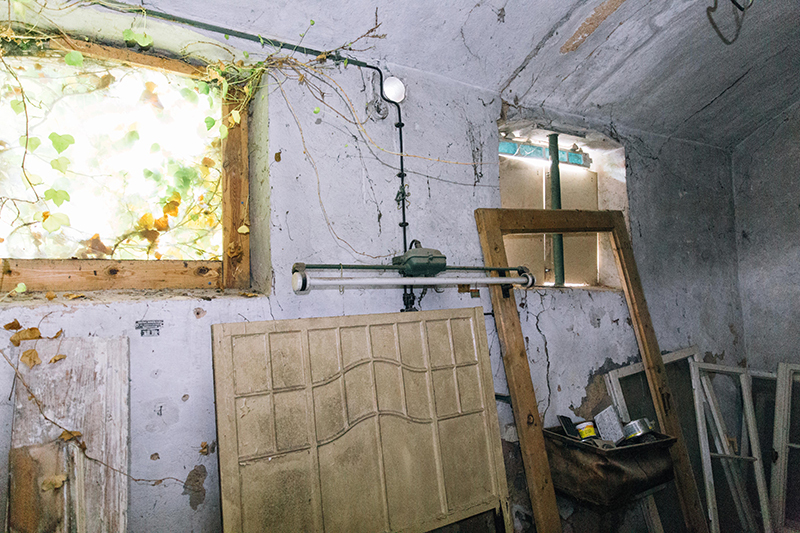 Fortunately, even after decades of abandonment in the remains of an old factory building, this Antilope has maintained its original green color. 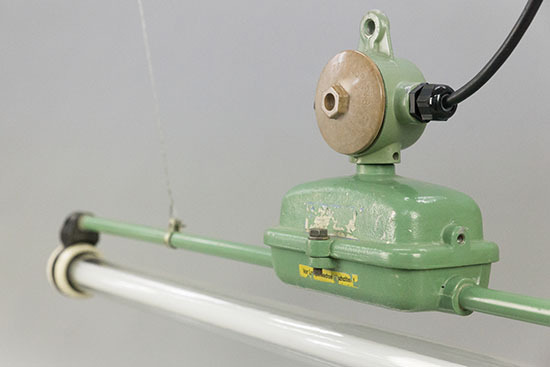 The Baby Antilope was discovered at a German ‘Fiehfutterfabrik’, formerly a factory where cattle feed was produced. 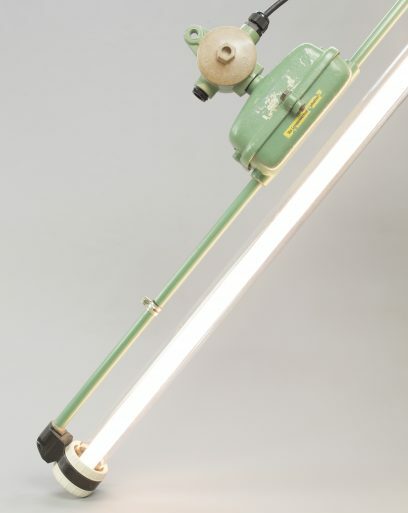 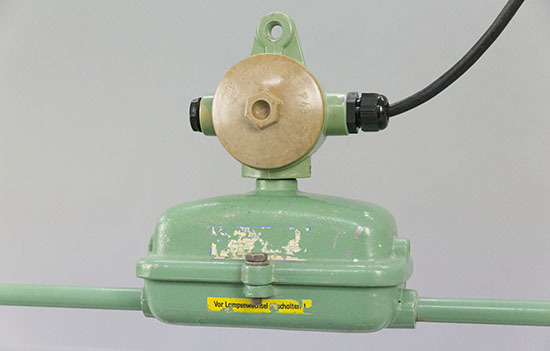 Like the ‘Giraffe’ and the ‘Gazelle’, this fixture was used at one of the numerous manufacturing companies of East Germany, but has been left to forgotten after the reunification in the early nineties, when the majority of these companies closed down.